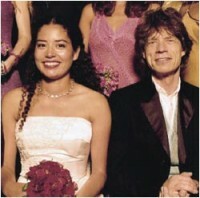 - Karis is Mick Jagger’s oldest child. She was born in England. After Karis’s birth, Mick Jagger refused to pay child support and a settlement was made in 1979. Throughout Karis’s teenage years she was close to her father and frequently vacationed with him and other members of the Jagger clan. During her childhood, she attended the prestigious Bedales School in the United Kingdom. She then enrolled at Yale University and graduated in 1992. Karis is now an English Production Assistant and she has worked on several movies including “Man on the Moon”, “The Rainmaker”, and “Sweet November”. 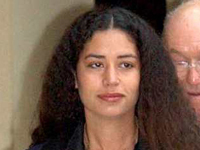 In 2000, she married boyfriend Jonathan Watson on Treasure Island in California before 100 guests including her mother, father, and five of her six half-siblings: Jade Jagger, Elizabeth Jagger, and Elizabeth’s siblings James Jagger, Georgia Jagger, and Gabriel Jagger. In a remarkable show of togetherness, four generations of the Jagger clan gathered for the wedding. Mick smiling broadly and looking every inch the proud parent, was joined by six of the seven children he has had by four different women, plus his two grandchildren and his 87-year-old father Joe, who had been mourning the recent death of his wife Eva. The only one of Mick’s children not in attendance was his youngest son, then one-year-old Lucas whom he had with Brazilian model Luciana Morad. Karis is a Yale graduate who’s mother is Hair star and sixties icon Marsha Hunt. Karis and her husband have two children. The Jagger dynasty pose for the official family line-up. Back row: Mick’s father Joe, the groom’s mother and brother, Mick and Jerry Hall’s children Elizabeth and James. Mick and Bianca’s daughter Jade, and mother of the bride Marsha Hunt. Centre row: The groom’s father, Jonathan and Karis, and Mick. 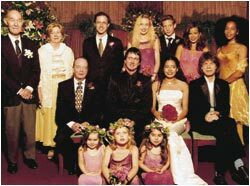 The little bridesmaids were Jade’s daughters Amba and Assisi and, between them, Mick and Jerry’s daughter Georgia. Sir Michael Philip Jagger has the most lovely family and is blessed in so many ways. I loved him since I was seven and heard Ruby Tuesday. He is so cute when he smiles. I love that great smile he has. Please go on tour again. Your fans are aching to see you. God bless you and keep you and your family healthy and happy. yours truly, Teriann Mazauski. p.s. I named my son Michael because of you. Hey how are you old boy Sir Mick? I have been the No.1 fan of the Stones since time immemorial. Sticky Fingers was the album that just blew me away. Why can’t you make a stop in Zambia and visit the Vic falls before we fade away ? You could rock the Zambezi sun ? Will you compare notes with good ole’ Keith and you shall have the warmest welcome to Zambia the real Africa. Come let’s spend a bit of life together. It would be such a honor. God bless the Jagger clan.